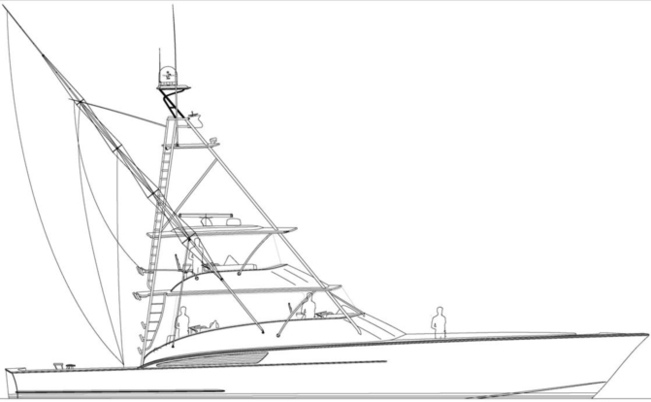 Never tiring of pressing the envelope, Jarrett Bay present a concept from its drafting board: the 75 Walk-Around Express. Envision Grander Hull #61 46 Walk-Around Express nearly doubled in size with an intensive use of carbon fiber and powerful engines that propel her to fifty plus knots of top speed. 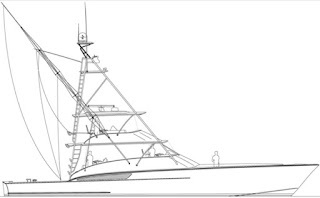 The generously sized cockpit with a multi-level mezzanine provides a view of the fishing action, while four staterooms with en-suite heads offer luxurious accommodations below.